In May 2014, 18 agricultural stakeholders from Senegal traveled to Colombia for a weeklong south-south learning exchange. Delegates from Senegal included officials from the agricultural sector, the national meteorological institute (Anacim), the Senegalese Parliament, research centers, among others. 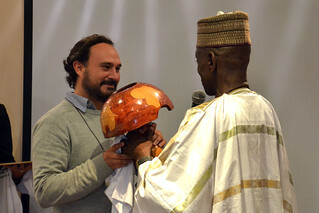 The exchange was supported by the International Center for Tropical Agriculture and the CGIAR Research Program on Climate Change, Agriculture and Food Security (CCAFS). For more information read the blog "Sowing unions to harvest hope: Senegal shares approaches with Colombia" on the CCAFS website.